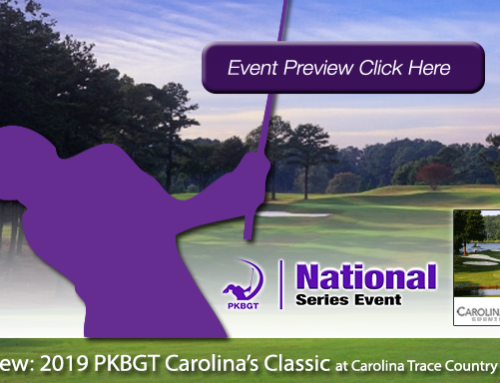 On Saturday-Sunday January 26-27, the Peggy Kirk Bell Girls’ Golf Tour takes over the Country Club of North Carolina (Cardinal) for the 2019 PKB Foundation Classic! Following up the Tournament of Champions at Pinehurst No. 8 and the Linville Cup at Mid Pines Inn and GC, the PKB Foundation Classic closes out an exciting month of January for the tour in the Pinehurst area. The home of American Golf and Ms. Bell herself, Pinehurst and the Southern Pines area is home to many of the top golf courses in the state. The Country Club of North Carolina is no exception, hosting prestigious tournaments such as the U.S. Amateur (1980) and the U.S. Girls’ Junior Championship (2010). 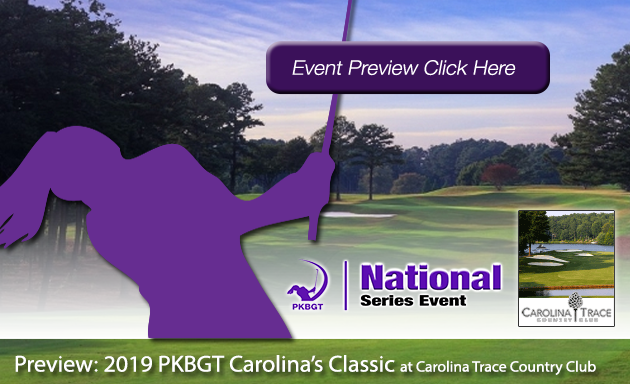 The 2019 PKB Foundation Classic is the final event in North Carolina before the tour travels south for several weeks. The 68 players in the field will compete in either the Bell National Division at 5,756 yards or the Futures National Division at 5,114 yards. We take a close look at the individuals competing in this year’s classic! Headlining the 31 player Bell National field at CCNC is Nicole Adam (Pinehurst, NC 2020). Adam is currently ranked fifth on the PKBGT Performance Index and is off to a hot start this season. She placed fifth in the PKBGT Invitational and followed that performance with a win at the PKB Junior. Early on in the Bell National Order of Merit race, Adam sits in seventh place with 176 points. 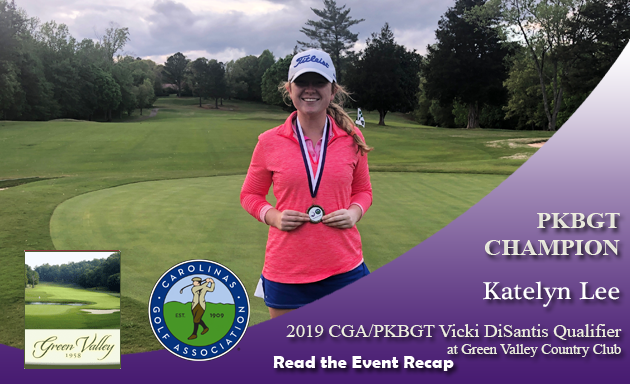 Grace Holcomb (Wilmington, NC 2021) enters the PKB Foundation Classic fresh off her win at the Tournament of Champions at Pinehurst No. 8. The win boosted Holcomb to the top of the Prep Preview Order of Merit standings and she hopes to maintain that momentum entering her second Bell National appearance of the season. 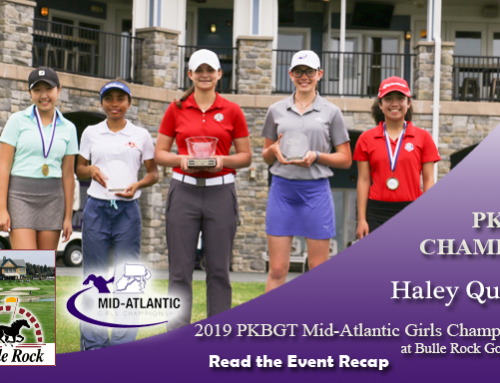 Competing in her fourth event of the 2019 season, Vynie Chen (Centreville, VA 2020) comes into the tournament ranked 63rd on the PKBGT Performance Index. Her top finish in the young season came at the PKB Junior with a 16th place finish. Chen is T12 on the Bell National Order of Merit and a strong performance in Pinehurst can help her position rise in the rankings. 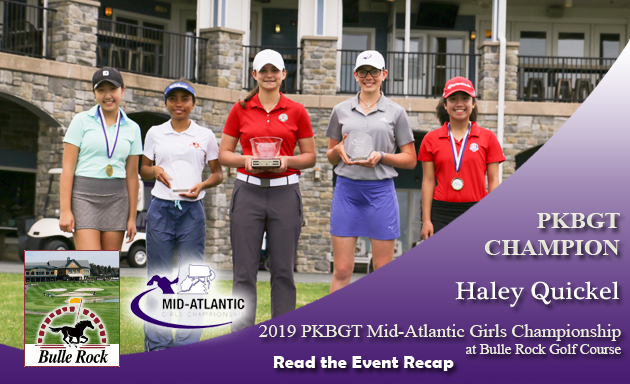 Ranked 30th in the Bell National Order of Merit, Melanie Walker (Burke, VA 2022) kick-started the 2019 season with a win at the Palmetto Dunes Resort Classic in Hilton Head Island. 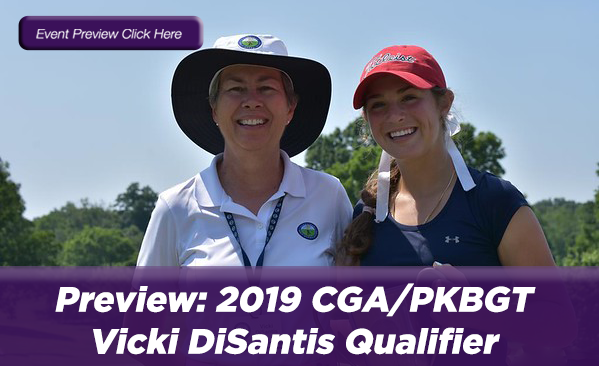 After competing in the first two Pinehurst area tournaments, she looks for her best finish in the final of the three at CCNC! The 37 player Futures National field is led by Grace Ridenour (Cary, NC 2025). 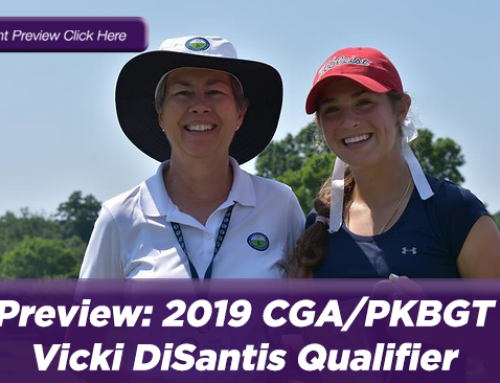 Ridenour’s lucrative transition to competition at the national level was apparent in her first Futures National event where she won the Palmetto Dunes Resort Classic in Hilton Head Island. In her first season since progressing along the pathway from the Discovery Series, Ridenour sits atop the early Futures National Order of Merit Rankings. 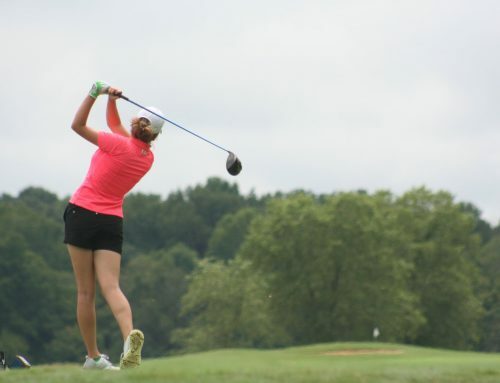 Another 2019 PKBGT Champion in the field at CCNC, Abby Hunter (Blacksburg, VA 2021) competes in her first event back following a win at the PKB Junior in December. Hunter is currently in third place on the Futures National Order of Merit rankings and hopes to ride off the strong final round performance from her win at Pine Needles. Katerina Klein (Charleston, SC 2020) enters the tournament ranked second on the Futures National Order of Merit. 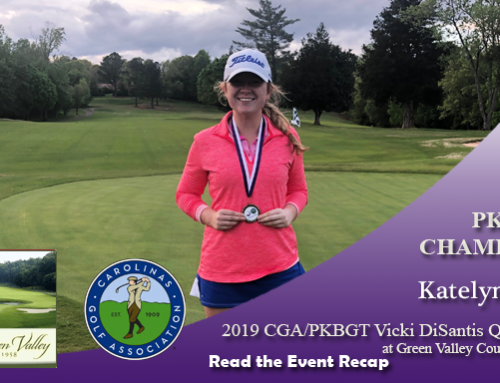 Klein opened the 2019 season with two top-five finishes and a seventh-place finish in her most recent event at the Eagle Classic at Georgia Southern University. She looks for a return to the top-five at the PKB Foundation Classic. Elen Yu (High Point, NC 2025) represents another successful journey through the PKBGT pathway progression. Following a 2018 season in which she won four events on the Discovery North Carolina schedule, Yu’s first taste of national competition was a T8 finish in the Futures National Division at the PKB Junior. We look forward to an exciting weekend in Pinehurst, with the first round of play kicking off on Saturday, January 26. Both divisions look to be competitive, and we wish the best of luck to all of the players participating. An awards ceremony will be held Sunday following the completion of the final round.